Use this smartboard slide to jumpstart your kids in the morning. While you do morning routine, the kids are busy working on DOL, Word of the Day, money, time, place value, expanded form, computation, problem solving. This is a blank template that you fill in on a daily basis before the kids arrive. 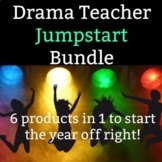 Drama Teacher Jumpstart Bundle - 6 products in 1 to start your year off right! Seven more Geography Jumpstarts covering Mexico and Central America, the Caribbean and South America! 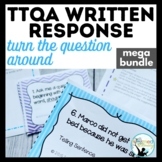 Bundle for Unit 6, Second Grade, Reading Wonders. This product was designed to help my students learn a different format of testing besides multiple choice like what Reading Wonders provided us with. I plan to use this format whole group for several weeks until my students are comfortable with it.